The community in Hamlet 3, Huong Loc Commune was allocated 173 hectares of natural forest in 2010. 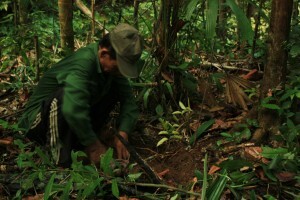 However, the ​​forest allocated was restored one with poor reserves and few valuable trees. Therefore, during the implementation of forest protection and development, the community always focused on the development of valuable timbers. With the support of project “Enhancing community rights in managing and benefiting after land and forest allocation in Thua Thien Hue Province” funded by ICCO, the Centre for Rural Development in Central Vietnam (CRD) in collaboration with community residents in Hamlet 3, Huong Loc Commune, Nam Dong District, Thua Thien Hue Province planted more than 1,000 Hopea pierre in the area of Chay lagoon. This was the area where remained some regenerative Hopea pierre, thus the additional planting would create conditions for forming a valuable forest later on. 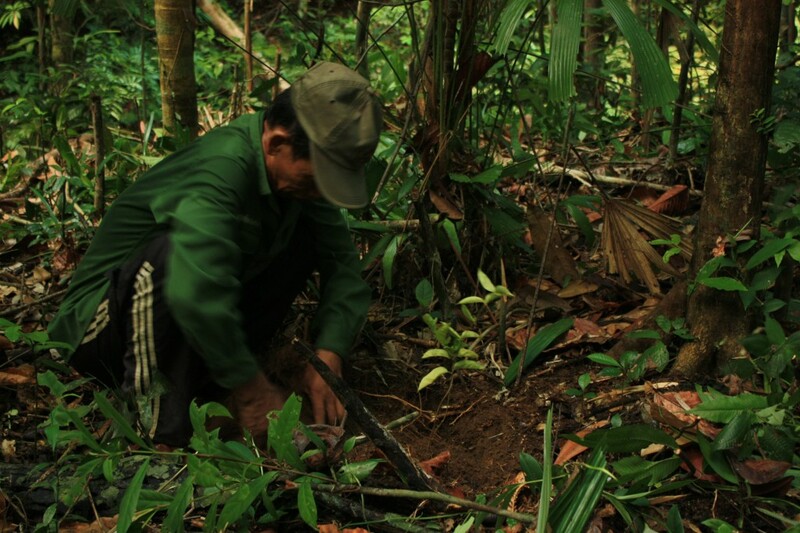 Besides Hopea pierre planting, the community expected to plant more timber species with shorter business cycle such as Prunus persica, Parashorea, and Dysoxylum loureirii. Hopefully, a multifacedtedly valuable forest in which valuable timbers dominate will be created in the coming time.